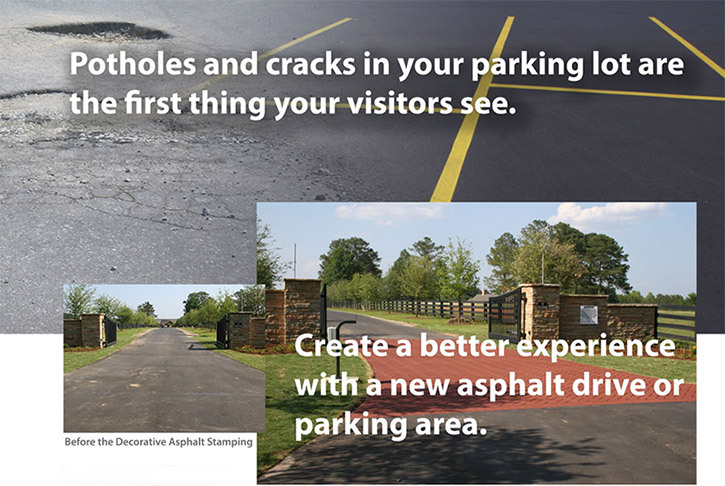 Potholes and cracks in your parking lot are the first thing your visitors see. 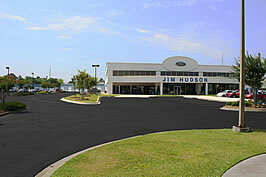 Create a better first impression with a new asphalt driveway or parking lot. Asphalt paving for parking lot areas and driveways. We also do asphalt repair and asphalt maintenance. Asphalt paving for parking lot areas and driveways. We also do asphalt repair and asphalt maintenance. The first thing you experience about a company or organization is their parking lot. But you only take note of the parking lot if it's in rough shape. If it is well maintained you never see it, but you do experience it. That experience creates an expectation of a stable well-run facility. It is part of your company's image. It's part of the brand. I'm Jim Talbert, President of Ducksback. I founded Ducksback, Inc. in Columbia, SC, in 1993 because I felt that there was a need for professional care and maintenance for parking areas. The Midlands area was lacking an engineer's eye for proper preventative maintenance for asphalt pavements. After receiving my degree in Civil Engineering I worked in the asphalt pavement industry for over ten years in materials testing, pavement design and construction. Parking areas represent a huge capitol investment for the owners and will last significantly longer if they are properly maintained. That's what Ducksback was created to do. We help owners protect their investment. Asphalt paving, asphalt repair and preventative maintenance is our business. If you need asphalt maintenance you need Ducksback.